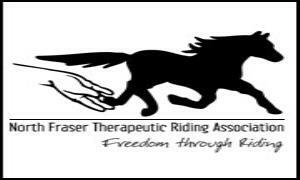 North Fraser Therapeutic Riding Association (NFTRA), founded in 1973, provides therapeutic riding, equine facilitated wellness, horse boarding, and instructor training in Maple Ridge, BC. We offer weekly therapeutic riding lessons to over 90 riders a week with the help of almost 100 weekly volunteers. We operate year round, with four riding sessions (winter, spring, summer & fall).